Jet Airways is India’s premier international airline which operates flights to 66 destinations, including India and overseas. Jet Airways’ robust domestic India network spans the length and breadth of the country covering metro cities, state capitals and emerging destinations. 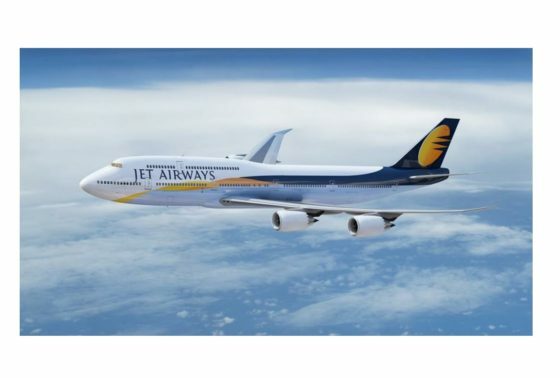 24th January, 2019: Jet Airways, India’s premier, full-service international airline, today announced an attractive 7-day fare sale to commemorate India’s 70th Republic Day wherein guests can avail discounts of up to 50% on their bookings with the airline. The limited period offer effective today is valid for both one-way and return journeys for Premiere and Economy travel across the airline’s domestic as well as international network including the airline’s gateways in Abu Dhabi, Amsterdam-Schiphol, London-Heathrow and Paris Charles De Gaulle. While guests travelling internationally can commence travel with immediate effect, Premiere guests undertaking domestic travel can commence travel with effect from 01st February, 2019. Guests making bookings for domestic travel in Economy can commence travel effective 08th February, 2019. However, tickets for domestic travel must be purchased at least 08 days prior to departure for Premiere cabin and at least 15 days prior to departure for Economy cabin. While guests from India can choose to travel to any 66 domestic and international destinations served directly by the airline or to a host of onward destinations in Europe on flights operated by the airline’s codeshare partners via its gateways in Amsterdam and Paris and vice versa, those from the Gulf can also book their travel to destinations in India, South Asia and the Far East under this scheme. The limited period offer is also valid for guests making bookings from Nepal and Bangladesh for discounted travel to India, Gulf, UK including London and Manchester, while those from Sri Lanka can avail it for travel to Europe in addition to India, Gulf and UK. Guests from the Far East can travel to India, Gulf, SAARC, UK and Europe while those from Europe and Toronto can avail this discounted offer for travel to destinations in India.